August has been a transitional month for our garden. 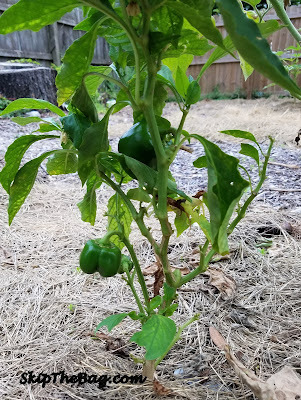 We've pulled many of the plants that either stopped being productive or got eaten by caterpillars so it looks pretty sparse. In fact two of the rows don't have anything planted! 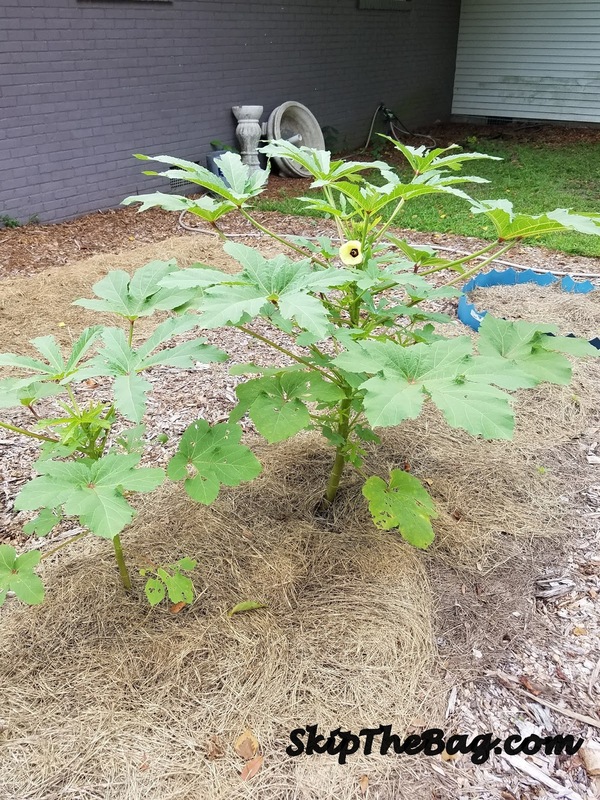 The okra which we just recently planted has been doing phenomenal, we haven't got any okra from it, but it's growing really well. 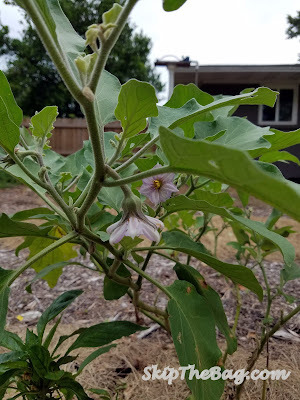 We still have the eggplant, as you may remember we let some of it get too ripe. I've been considering pulling them, but they are still producing flowers so I'm hoping it will make something of itself. 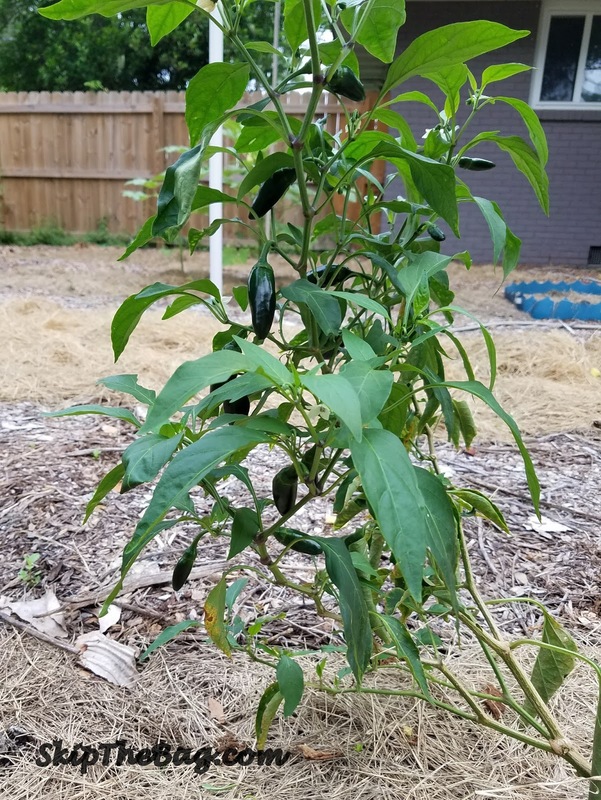 The jalapeno is still going strong. Hubby is loving all of the pickled jalapenos. 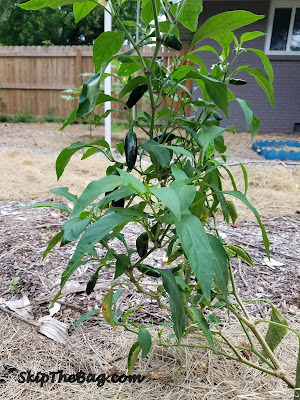 Next time we plant jalapenos Hubby wants even more bushes. Our bell peppers are still producing so they get to stay. We've started seeding some plants, but most of them are still not quite large enough to put into the ground. We have started zucchini, carrots, watermelon, tomatoes-beefsteak, roma, cherry, lettuce, leeks, Brussels sprouts, and pumpkin. 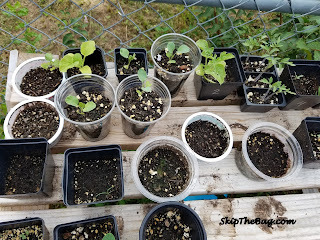 I hope they keep growing and sprouting and will provide us food soon! 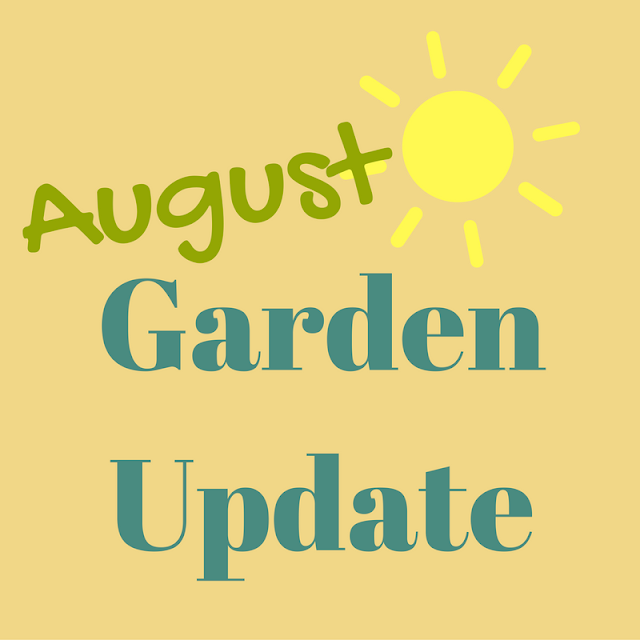 How did your garden do this August? Pickled Jalapenos are very easy to make. I think Hubby's made a batch every 3 weeks or so! Thanks for visiting and commenting. Seedlings still? 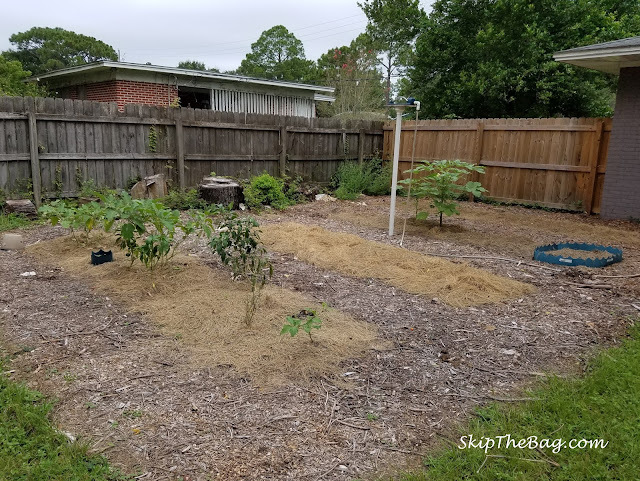 Do you grow winter crops? I'd love to do year round gardening but I don't think our weather would cooperate... I keep thinking about making a green house out of our garden but I don't know how much it would help. Yes, one of the benefits of hot Florida...we can grow all year round. Although our "seasons" can be pretty short, typically only lasting about 2 months before the weather changes! Absolutely! We love our compost pile.